Lately I have been all about finding great inspiration. Whether it's in a picture, a place, a person, or something else I love finding that special thing that makes me feel creative. One of my favorite places to turn for inspiration is Instagram. There is definitely a certain aesthetic I'm drawn to on Instagram and follow so many accounts because they align with that. Below I have my 20 favorite accounts to follow for gorgeous photo inspiration! Blue jean baby, LA lady. Moved to Paris to follow my dreams and haven't left since. Photographer based in Paris. Sharing homemade recipes, crafts, and inspiration from our readers around the world! Design co. creating motivational & fun items for those who love coffee, wine, & all things lovely! Lifestyle website dedicated to inspiring you to shine bright. Helping bloggers get discovered & make an impact. From Dallas, currently Nashville, TN! Fashion. Fitness. Food. Frequent flyer. Francophile. Coffee snob. Rosé enthusiast. Chicago via NYC. Join a community of female entrepreneurs that crush it online! Small town WI photographer, painter, and educator with big dreams. Obsessed with: mac and cheese, puppies, and yoga pants. Keepin' it real since 1988.
social at alison brod pr. glitter guide editor. nyc. obsessed with fashion, food, & planning the perfect party. What Instagram accounts do you follow for inspiration? Seriously leave them in the comments because I'm always looking for more great accounts!! 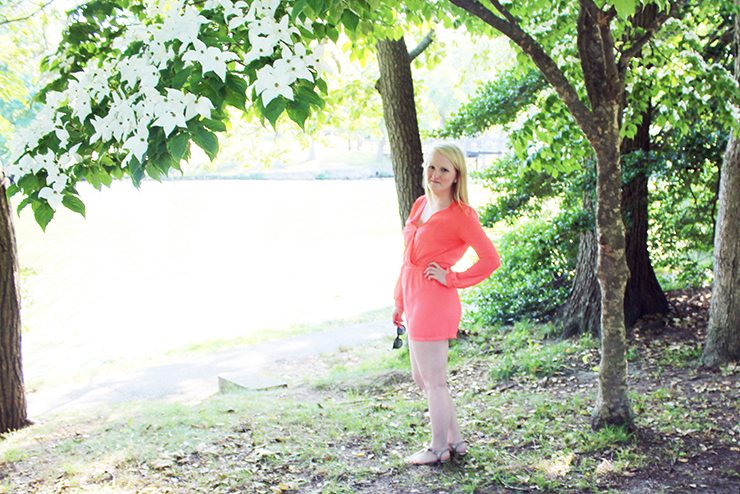 Today I'm linking up with Oh Hey Girl!, and Trendy Wednesday. P.S. 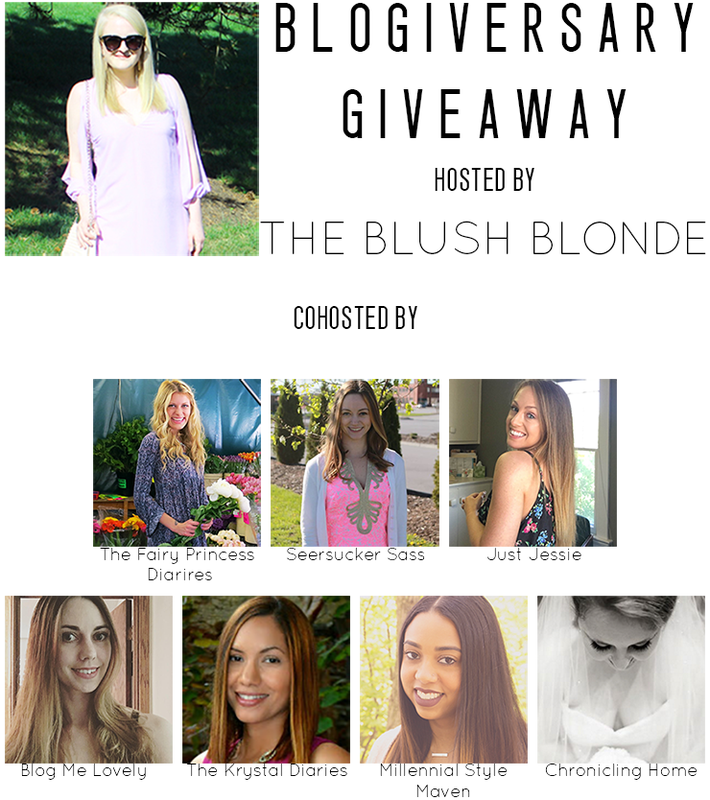 Don't forget to enter my Blogiversary Giveaway! Have you seen Vogue's 73 Questions? It a video series in which they interview celebrities by asking them 73 questions within a short period of time, kind of like rapid fire. If you haven't seen one before I definitely recommend checking them out, you can find them all here. A few weeks ago Jordyn did her own 73 Questions post that I absolutely loved and it inspired me to create my own. 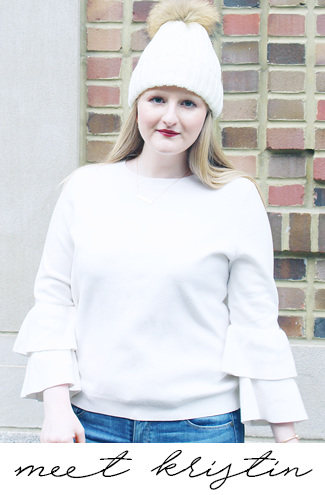 In the spirit of celebrating my Blogiversary (which was Sunday) I thought it would be fun to share more about myself with you in this way. I watched five or six of Vogue's 73 Question videos (including Reese Witherspoon, Blake Lively, and Victoria Beckham) and took 73 questions from the different videos I watched to answer. Keep reading to learn more about me! 28. What's a book you plan on reading? The Career Code: Must-Know Rules for a Strategic, Stylish, and Self-Made Career and Mother, Can You Not? 69. What karaoke song would you sing without needing the monitor? "...Baby One More Time"
Three years ago yesterday I started my little space on the internet. I created Crumbs & Curls in 2013 while I was bedridden recovering from surgery on my back. Then in 2015 I rebranded as The Blush Blonde and have grown to love my blog even more with its new name. Making a blog on a whim (with NO idea what I was doing) was one of the best things I have ever done. Three years ago I never could have imagined that this would turn into what it has and I feel like I fall more in love with blogging each year. During this journey I have learned so many things, met so many amazing people, and had so many incredible experiences because of my blog. I want to thank all the people who have supported me over the last three years more than I ever could have asked for. Thank you to my parents, my sister, my friends, friends of friends, sorority sisters, readers, and more, without you this would not be possible. As I enter into my fourth year as a blogger I hope to only be able to expand on everything that has come so far. Sephora Sun Safety Kit- A limited edition set filled with all of the sun protection essentials necessary to stay sun safe this summer. It is a set from Sephora with items from several brands and a value of $127.00. To see exactly what it contains click here. Quay Australia My Girl Cat Eye Sunglasses- Super on trend sunnies with a 50 MM lens width and full sun protection. $75.00 Nordstrom Gift Card- This is included to buy any other summer essentials you might need! My best friend sent me this on Pinterest and I thought they were the cutest little shots I've ever seen! I've been a huge fan of Jello shots (they're so fun!) for a while now and this recipe from A Beautiful Mess looks delicious. 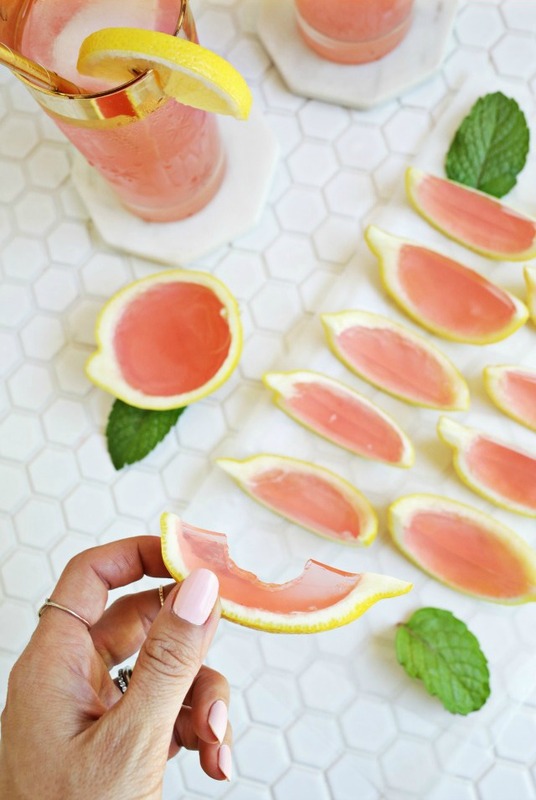 I've always been a little intimidated by fancy Jello shots, but these actually look easy to make and the step by step pictures included with the recipe are super helpful! Sassy pool floats have been popular for the last few years and I think they are the greatest! Urban Outfitters has a good selection and the ones below are from there. 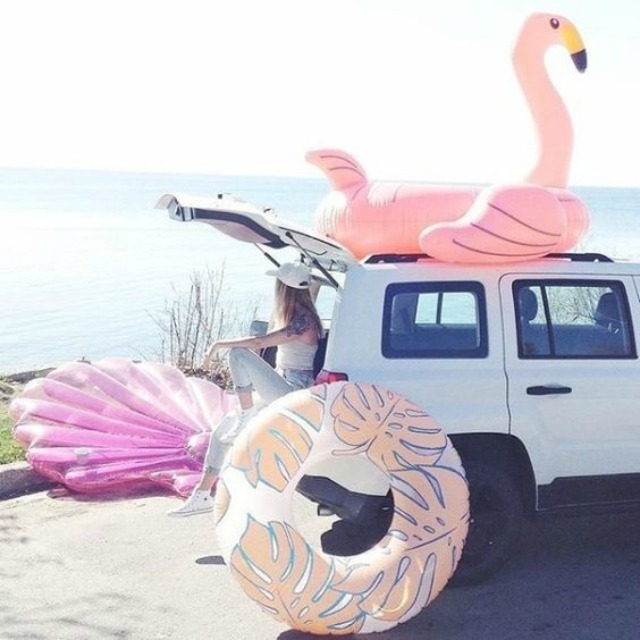 You can find the flamingo here, and the seashell here. I also love the swan, pretzel, and donut floats too! Any of these adorable floats are sure to make a huge hit at the pool. With 4th of July a little over a week away it's time to start planning some festive fun. 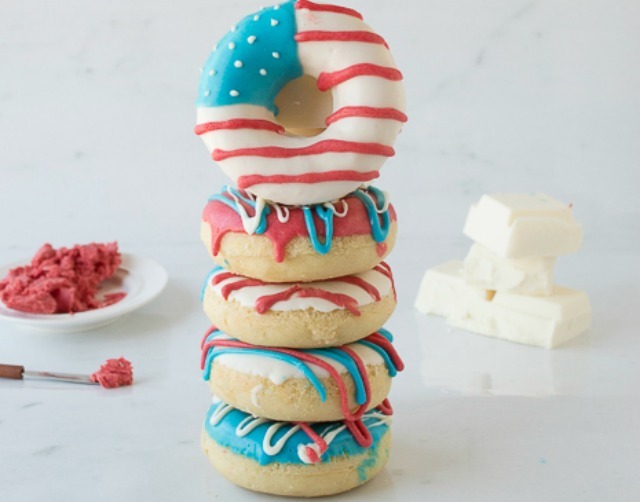 I came across these donuts from The First Year on Pinterest and thought they were so much fun and are sure to make your day extra festive. They would be great for 4th of July brunch or dessert at a party! My Mom and I are moving in a few weeks and I want to upgrade my desk situation in my bedroom to make it look more office like. 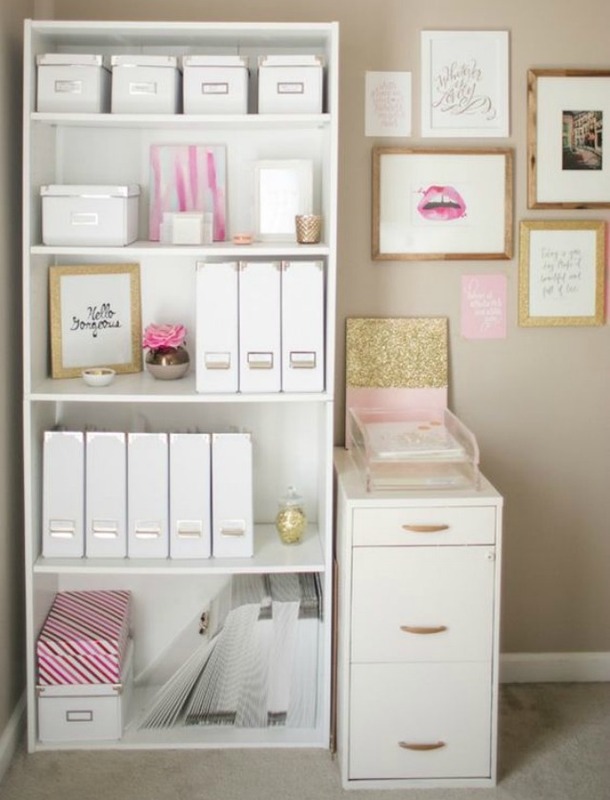 I've been searching Pinterest for ideas and fell in love with girly chic office decor. I've been thinking of doing my room in pink, white, and gold so this is giving me a lot of ideas! I have been loving co-ords for sometime now and think this one from Lulu's is gorgeous. It would be beautiful for a variety of different events and is perfect for the summer. I love it so much I might have to get it for myself!